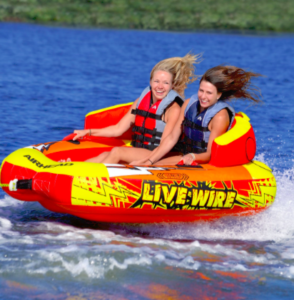 Before you turn the key and push off from the dock there are some things that you are going to want to make sure you have on board to provide a safe and fun day. 1.Sunscreen, sunglasses, and hats are essentials for your day on the water. It can be hard to judge the intensity of the sun from shore, so it’s better to be safe than sorry. 2.What’s a boat day without a cooler full of drinks? 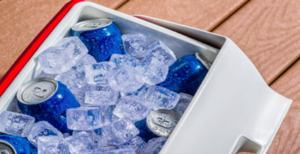 Make sure you remember to pack your insulated cooler full of ice to keep your drinks and snacks cold as long as possible. 3. A first-aid kit should be on board in case of an injury. Make sure that your first-aid kit is stocked with gauze, bandages, and motion sickness medication. It never hurts to throw in more than you may need. 4.Document your day! Bring GoPros, waterproof cameras, and other recording devices to record your day on the water. 5.Throw in the waterskies and tubes if you are feeling up for the challenge. 6.You may want to bring along a dry bag for some of your personal items; you never know when you might get hit with an unexpected splash of water. 7.Bring a Bluetooth speaker to blast your boat day jams that you have been planning for weeks now. If possible, bring a portable charger so that the tunes don’t stop. 8.Go to the local gas station and pick up a carton of night crawlers, a pack of hooks, and a fishing pole so that you can be the one to catch dinner for the entire family. 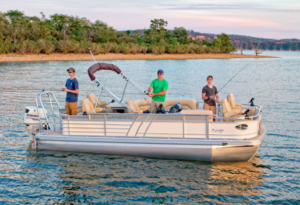 Your next boating adventure will be taken to a whole new level of fun if you decide to follow this list the next time you get on board.